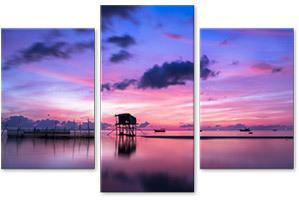 Panoramic canvas prints have a format that goes beyond all dimensions. They inspire by their sheer size and, depending on the motif, through the mediated sense of the vastness of the space. 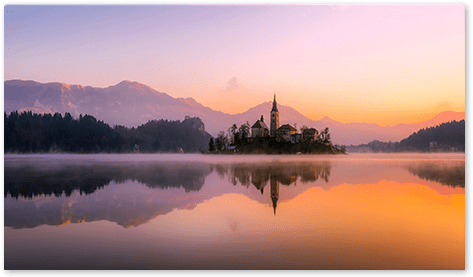 Static images are particularly well-suited to panoramic canvas prints. 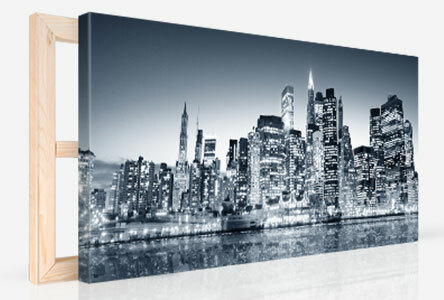 Panoramic canvas prints can, for example, also be cut from a regular photo. But the overlapping of several photos can also lead to very impressive results with this photo on canvas. Everything in our world is standardised. But something has been overlooked, because the panoramic canvas print is undefined in its horizontal dimensions. So we offer canvas in two aspect ratios. The 2:1 ration can also be described as the small panoramic canvas format and the 3:1 is even longer horizontally. It’s not so easy to create long canvas prints from your own photos. You may find the design of the edges challenging for panoramic canvas prints, due to their special dimensions like for large canvas prints. If you go for a wrapped edge for your panoramic canvas, you may lose a considerable part of your image. This makes the mirrored edge a good choice for panoramic canvas prints so that the entirety of the motif is preserved. 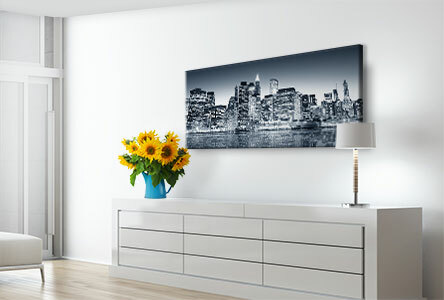 If you want to have your panoramic canvas printed in black & white, a monochrome edge will look fantastic. This means that your selected motif will not be compromised and the printed edge will match your panoramic canvas perfectly. Long canvas pictures are the most attractive format for a canvas print, since it is often hung above the sofa or the bed. For this, the panorama format is perfect. The panoramic canvas picks up on the horizontal forms and position, blends harmoniously into the setting and embellishes the room. Tip: For the panoramic canvas prints, we recommend the gallery-format wooden frames from a width of 100 cm.